Glistening pale gold with a cirrus cloud-streak of white across its horizon, Sour Apple Saison is an instantly-appealing proposition. There’s a suggestion of haze, but nothing more. Held at arm’s length you still succumb to its intense fragrance –mulled wine, cinnamon, apple, and star anise. I’m drinking Release #9, and it comes as no surprise that it’s spiced with 'ground Ginger, Cardamom, Cinnamon, Cloves, Nutmeg, Anise Seed, Grains of Paradise and Coriander'. They’re all there in the mouth too, along with honey sweetness and a crisp snap of marmalade at the end. It’s a lot to deal with, but there are no unpleasant spikes in the flavour profile. Nothing dominates, nothing overpowers. Those spices are truly blended, and as your palate adjusts to cope, you can sit back, relax and simply enjoy this unique, distinctive beer. Like Greg Schrif, who I referenced in my last post about Salt Lake City, Del Vance is a figure central to Utah’s compelling beer story. In Beer in the Beehive he documents that story. Del co-founded Uinta Brewing in 1994, producers of Utah’s most popular craft beer. In 2001, he co-founded the Bayou, where I ate outstanding Cajun-style food and sampled a number of beers from an incredible list. His latest venture – the Beerhive – is one of the best beer bars I've ever been to. Seriously. 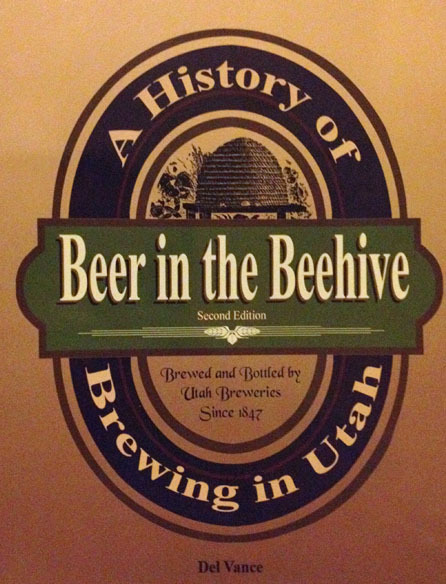 And his knowledge is revealed as he unveils the richness of Utah’s beer history – a tale that is as fascinating as any the world has to offer. It’s all too easy to dismiss America’s brewing history as a footnote to its European origins. There are no ancient civilisations, no monasteries and no Reinheitsgebots. But there is the foundation of a new land, migration, and most crucially, prohibition – a beast that still casts its shadow across the land – that mark it out as a separate entity. Then there’s the more recent history, centred on the rise of the monolithic brewery and the craft-beer resistance movement at the end of the last century. I was bewildered by Salt Lake City’s beer scene when I arrived. It was richer and more vibrant than I could have possibly imagined. Every sliver of information that I stumbled across, and every new beer bar I passed, gave me a thirst to learn more. And to drink more beer, obviously. I bought Beer in the Beehive at Epic Brewing’s Tap-less Tap Room, just as they were closing up for the night, in order to satiate this thirst for more information. 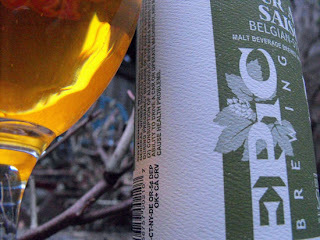 Epic Brewing aren’t mentioned in the book. Because they are the most recent chapter in Utah’s ever-evolving beer story. In 2008, Utah law changed to allow a microbrewery to brew strong beers of the type Epic specialise in. Bizarre zoning and licensing laws mean that Epic cannot open a brewpub on their existing site (if I’ve interpreted the situation correctly). I cannot begin to really explain how gripped I am by all of this. Salt Lake City is such an exciting place to drink beer. Beer in the Beehive is the perfect accompaniment.